Ss began to learn the *secret* to great performance reviews - collocations! As a way of introducing ss to certain concepts around performance reviews, they were asked to self-evaluate their performance in English class. Interestingly, Arianny listed 'needs improvement' for almost every question (homework, participation, making an effort to use what he has learned). I will speak with him next week - my hunch is that he is a bit intimidated by his more senior peers. He is very good at English and the more he actively participates in the program, the more he will thrive. Check back here each week for ESL Works snapshots. We'll keep it snappy! The contents herein are proprietary and information owned or controlled by ESL Works LLC. 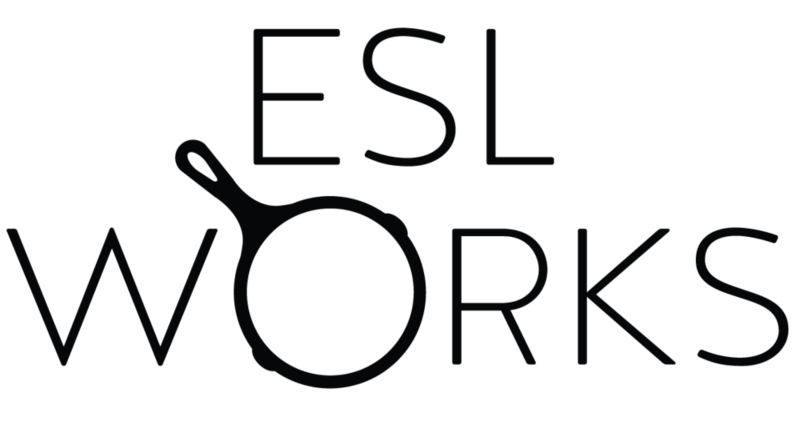 The ESL Works logo is a registered trademark of ESL Works LLC.